Yesterday I went shoe shopping in Kenton at Wide Fit Shoes. Ive known for a while that my feet are quite wide but most shoes shops dont carry extra width fittings so instead I have to go up sizes. So for the last 10 years or so I've been wearing size 15 shoes but could get away with size 12 sandals if the straps were long enough. I now have shoes which actually fit my feet properly. It seems I'm a 6E width fitting and a 12 Length. If only I had known about Wide Fit Shoes when I was 12 years old I probably wouldnt have bought shoes from anywhere else for the last 20 years or so. 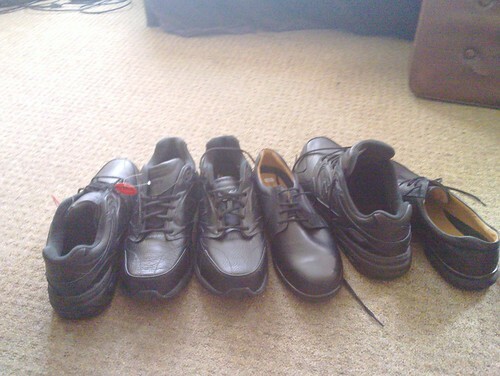 So Yeah, If you have wide feet I do recommend a viist to Wide Fit Shoes.